1-Year Full Advanced Replacement Warranty from MN Telephone. No Warranty from Iwatsu/ICON. Phones have NEVER been installed or used. 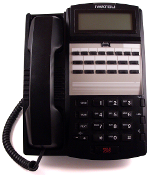 Brand new dispalys and handsets.